mat3D-2018-professional | Dimensional Solutions, Inc. In addition to rectangular mats, complete soil or pile supported circular mat designs. Creates a 2D drawing in AutoCad displaying the plan view, elevation view and section view of the completed design including rebar details helping you manage your design-drawing environment and resources effectively. 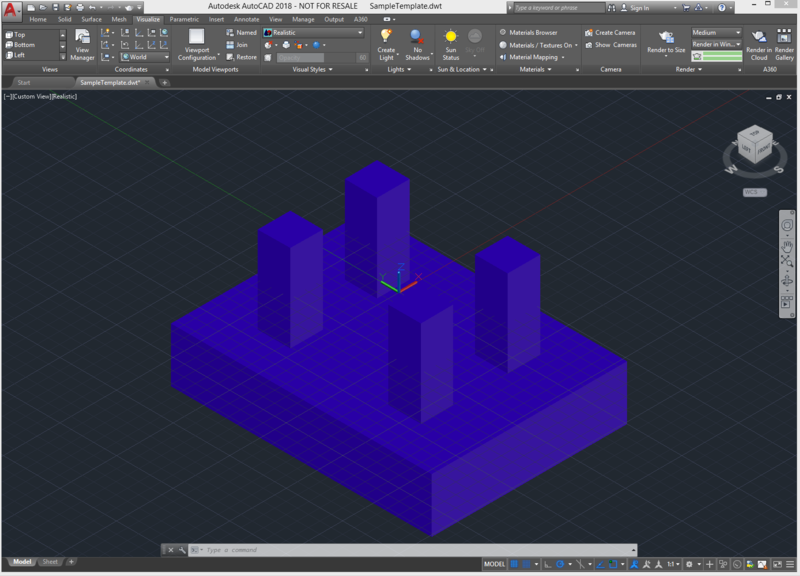 Creates a 3D model of the foundation in AutoCad displaying the pedestals, mat, piles, anchor bolts.